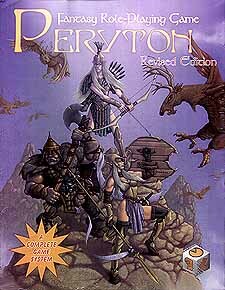 The Peryton Role-Playing game is built from Open Gaming mechanics and will be immediately familiar to experienced gamers. And thanks to its streamlined design, players new to role-playing will have no trouble jumping in and getting started quickly. This revised edition of the Peryton Fantasy Role-playing Game is a complete system with a full selection of classes,monsters, spells, and treasures, featuring both old favourites and new creations. It also includes an improvisation guide with all the material you need for several instant adventures. Add pencils, paper, dice, and a few friends and you're ready to go!